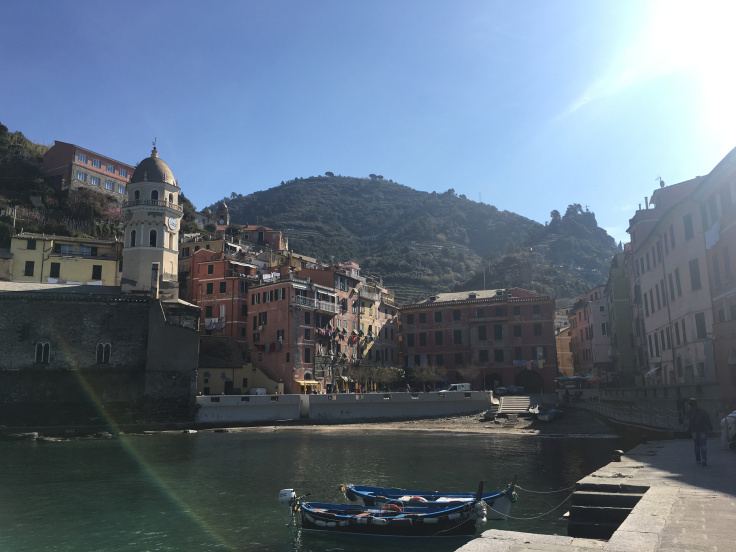 On day two I trained from Riomaggiore to Corniglia where I finished the day before to trek on and visit the final two towns of the Cinque Terre, Vernazza and Monterosso. Starting early on another beautiful day before the sun gets too hot is a must! You can never be sure how much shelter you’ll get on the way. The coastal tracks between these towns are open, so you take route SVA. All the tracks are very well marked and not once will you ever feel unsafe or think you’ll get lost! 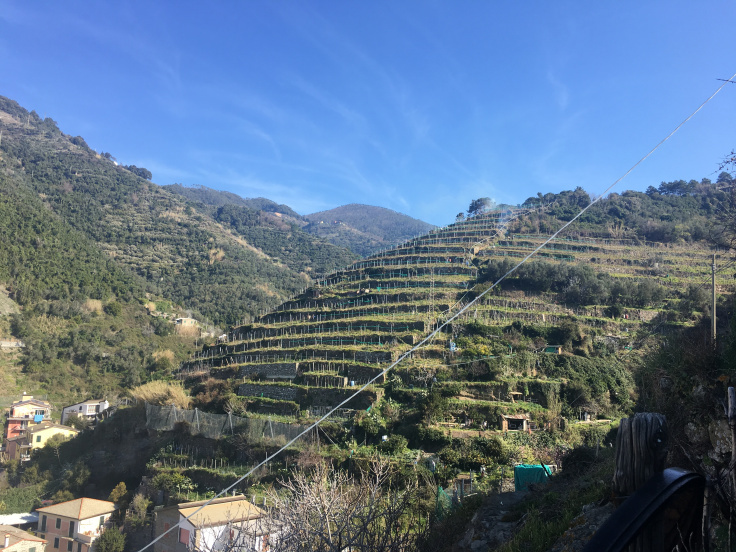 As you leave Corniglia, you head off straight into orchards and get a perfect view back over the town – stunning! Most of this walk is through beautiful orchards and more stairs! Vernazza, town #4 wow. What a beautiful little town! A town so photogenic you couldn’t help but get some beauties of it! 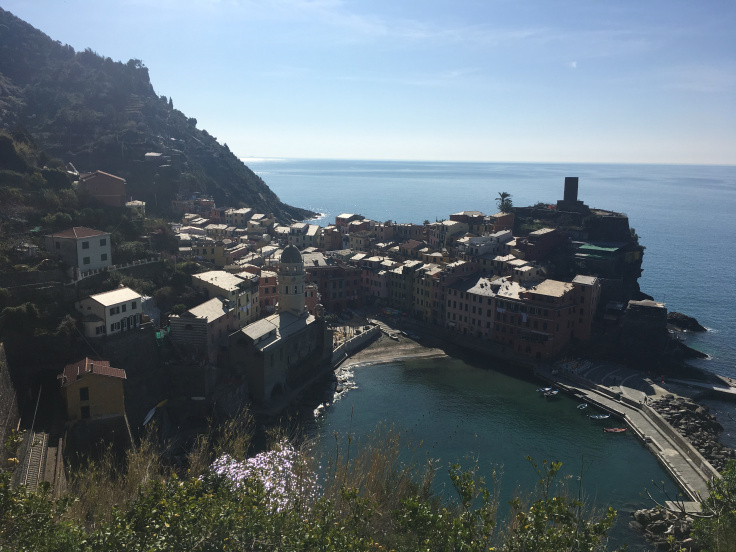 Heading off from Vernazza to Monterosso, you can’t help but look back and admire the beauty that is this little town. 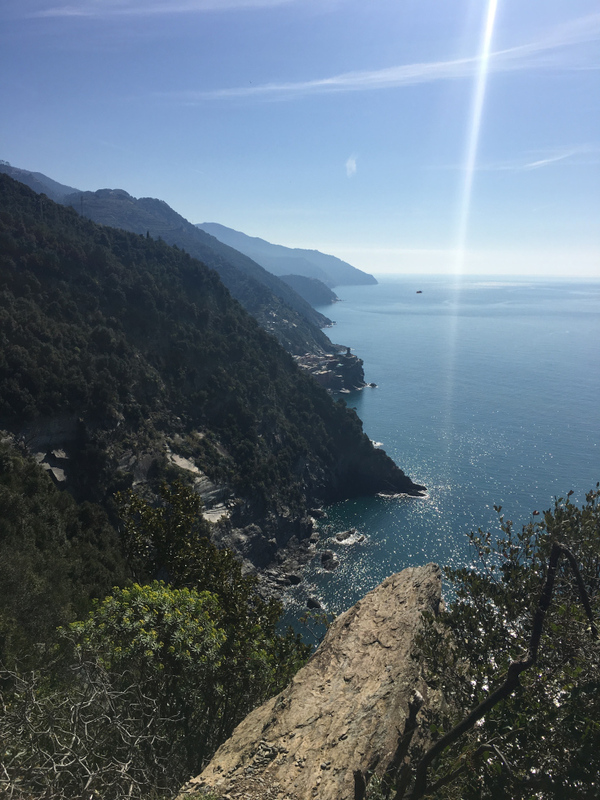 I have no words as I walk on to Monterosso and admire the views that I get to see as I walk and walk in the beautiful sunny day and climb even more stairs! 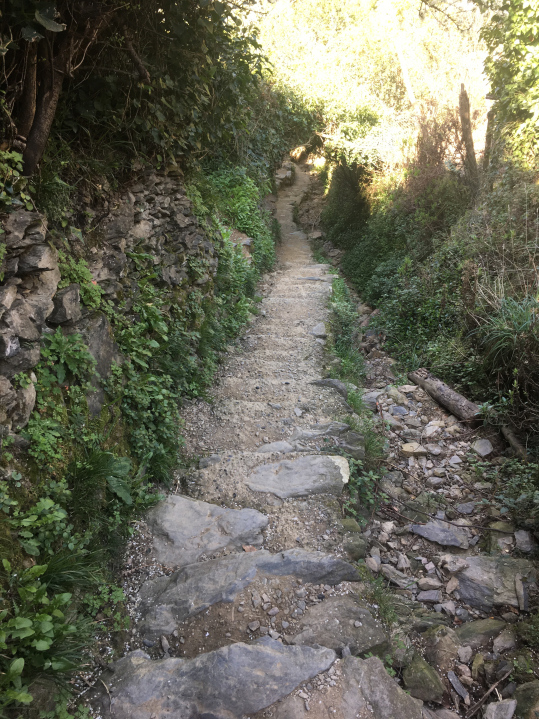 The track varies throughout the Cinque Terre from slate stairs, wooden stairs, flat dirt and rocky boulders. 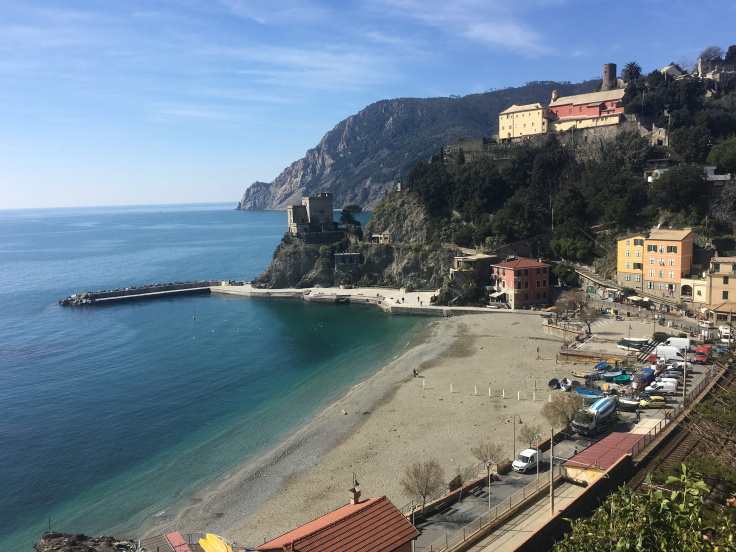 Getting to Monterosso brought so much relief, mostly because you are descending down a ridiculous number of stairs!! It’s crazy!! Bre told me not to base myself in Monterosso because of those stairs, but the stairs are just as bad leaving Riomaggiore heading to Manarola. But still, there were so many stairs and they were brutal!! 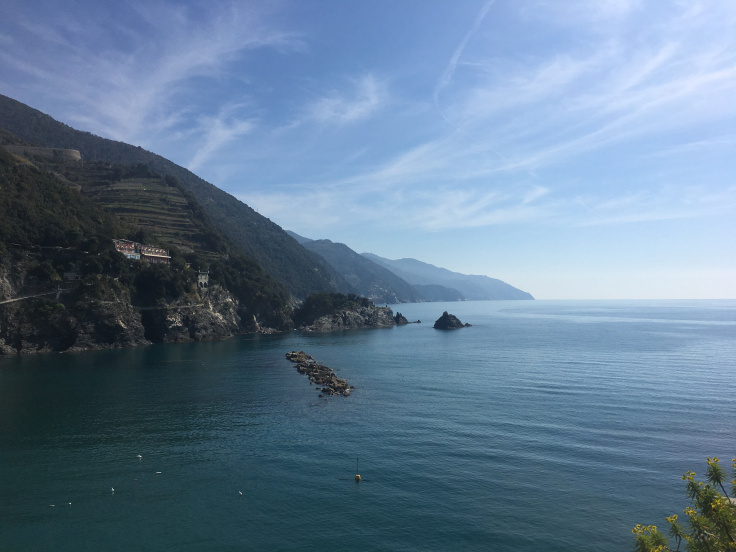 Seeing the whole Cinque Terre from Monterosso is magical and so beautiful! 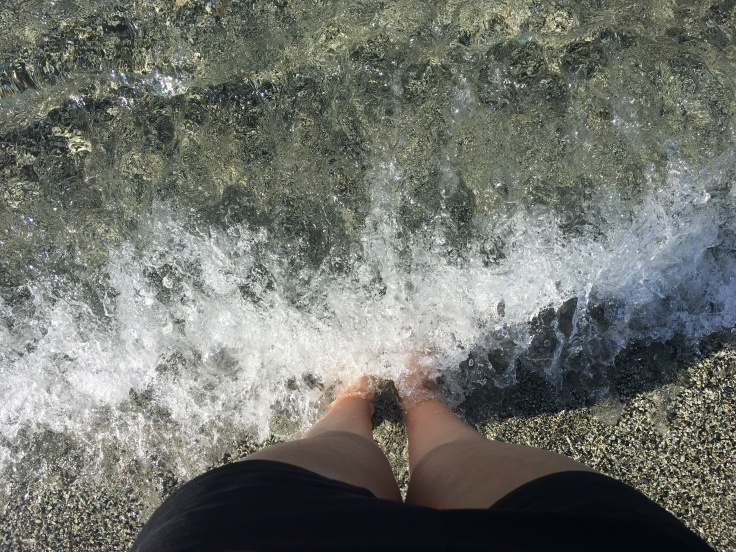 The water in the Monterosso marina and main beach was incredibly clear, like I had seen along the whole trail, so an ice bath for the tired feet was a must! 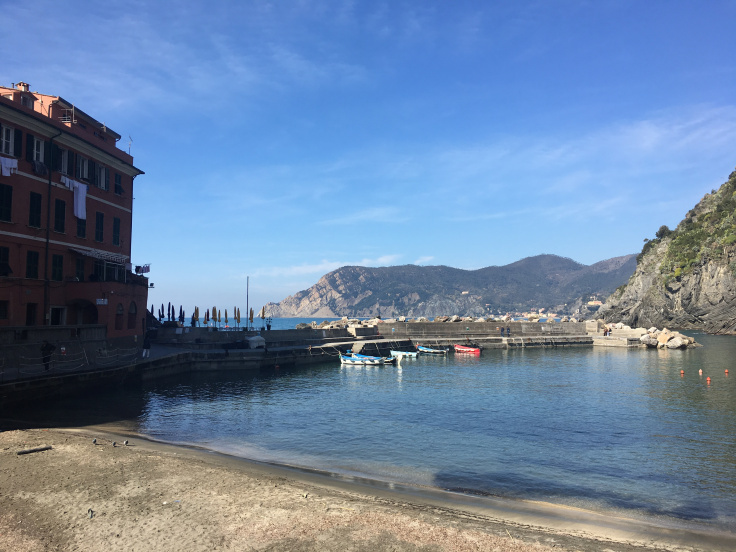 Monterosso is again, small, lovely, and a great place to finish the day with a pizza and beer. 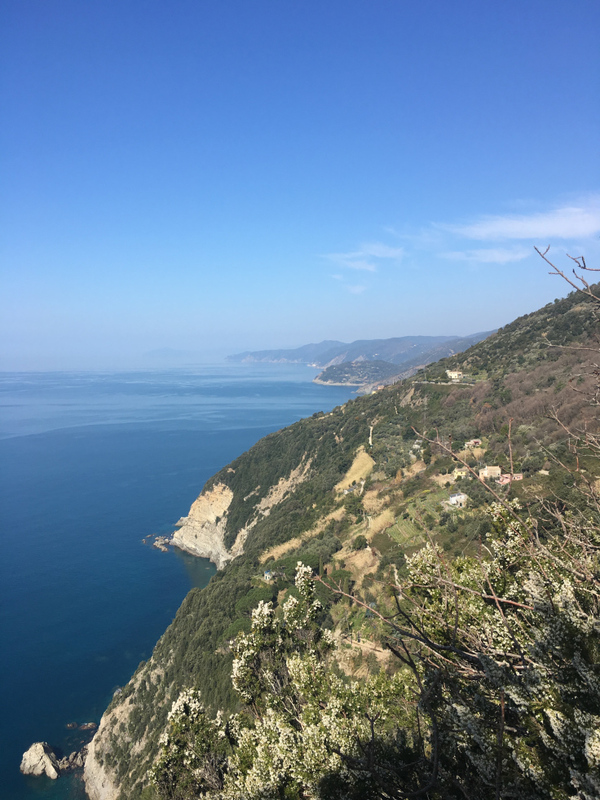 The walk between Corniglia, Vernazza and Monterosso took about 2h 30m and was about 8.5km. 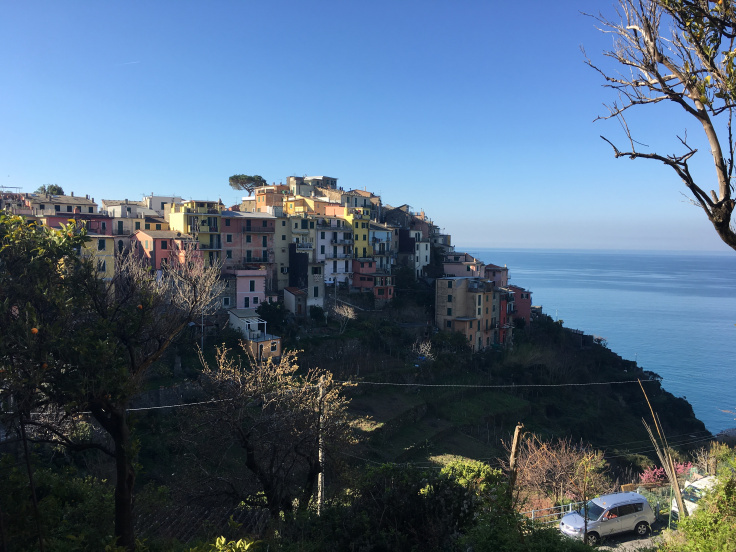 The beauty of the Cinque Terre reminds me of New Zealand. 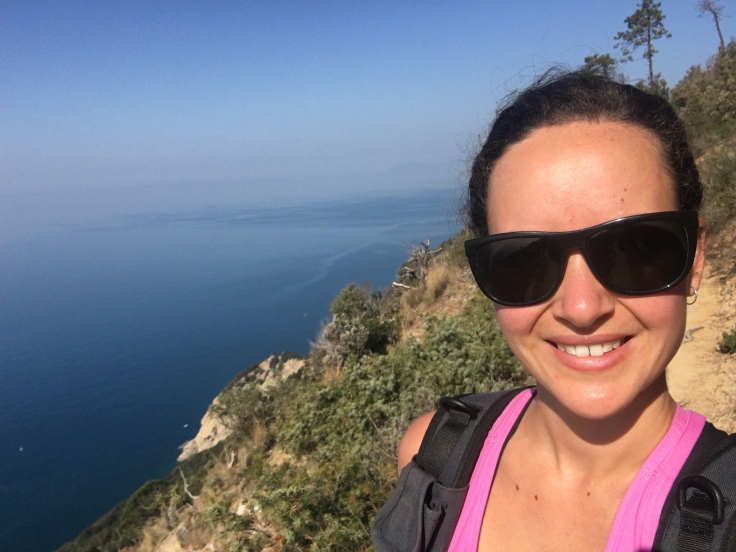 Beautiful coastlines on the edge of amazing green forests and national parks filled with so many walking and running tracks. 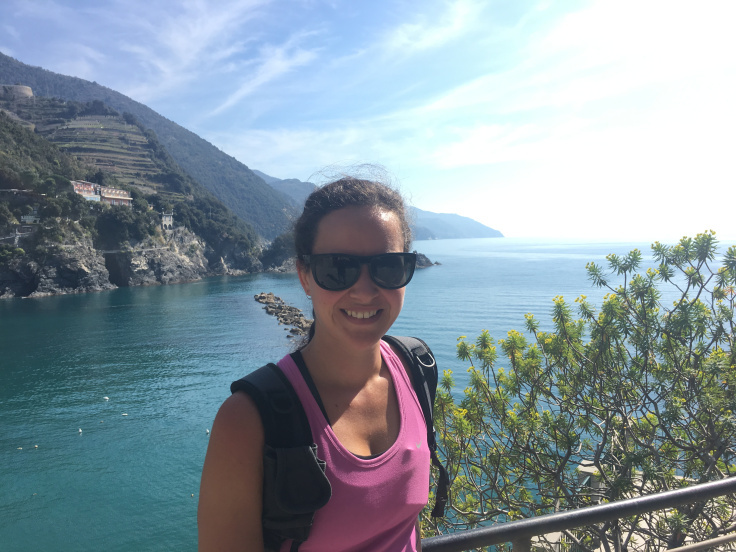 I am geographically challenged and don’t know much about the world (hence I’m travelling) and I would not have done the Cinque Terre if it wasn’t for Bre suggesting it as an alternative to Croatia. It’s a choice I will never regret. Spending three days wandering through this part of Italy was breathtakingly beautiful and a place I will definitely come back to. 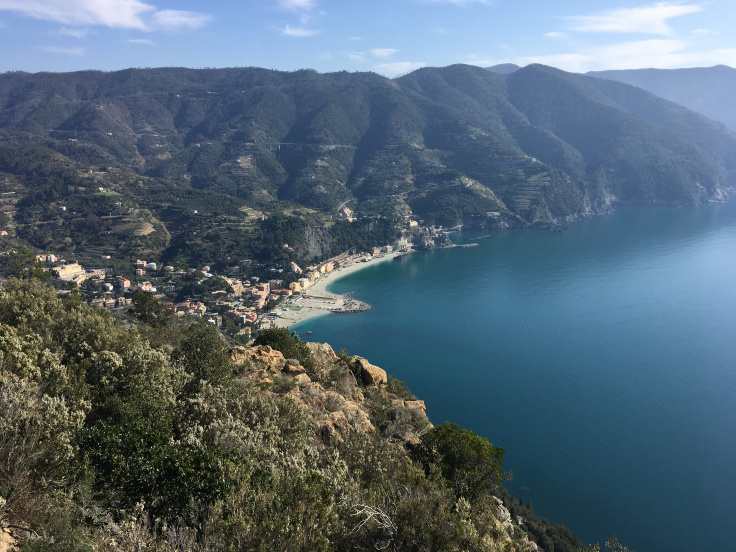 On my third day, I added on an extra walk from Monterosso to Levanto. Taking this track starts and ascends as (you guessed it!) with stairs. You find the SVA marker just down from this awesome building, the balcony leaning on the shoulders of a godlike statue. (P.S. that mountain in the background is what I will be climbing). Some of the walk is done on the road, but quickly cuts back to the mountainside and you’re climbing stairs molded out of slate. The views as you ascend up the side of the mountain are breathtaking (I need to find a different word, I keep using breathtaking!!). But seriously. Look at that. 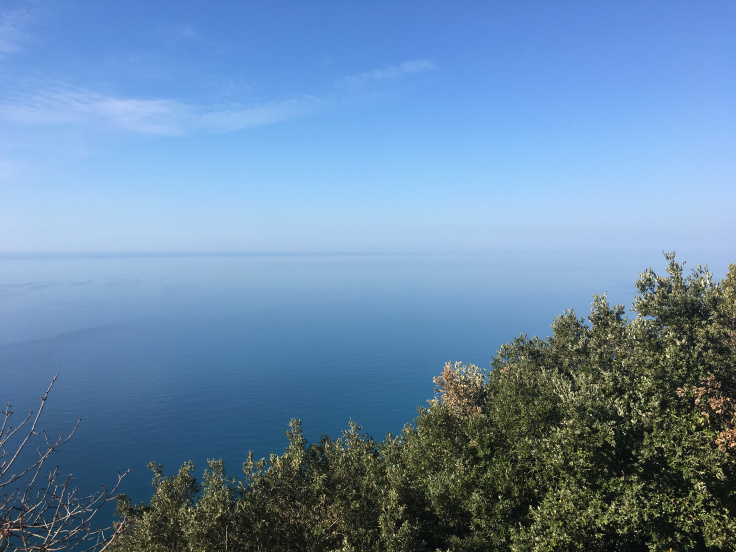 Once you get to the top and reach the abandoned S. Antonio al Mesco church, which offers magnificent views! 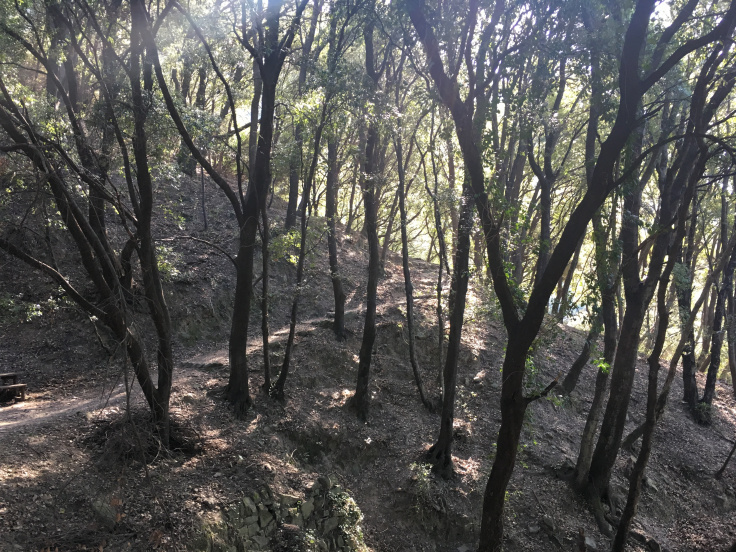 The rest of the track heading across to Levanto is mostly slate or very slippery dirt surfaces. It’s beautiful, technical and keeps you on your toes, as there are slips galore! The beauty is worth it and one that is worth all the stairs, slipping and sweating! 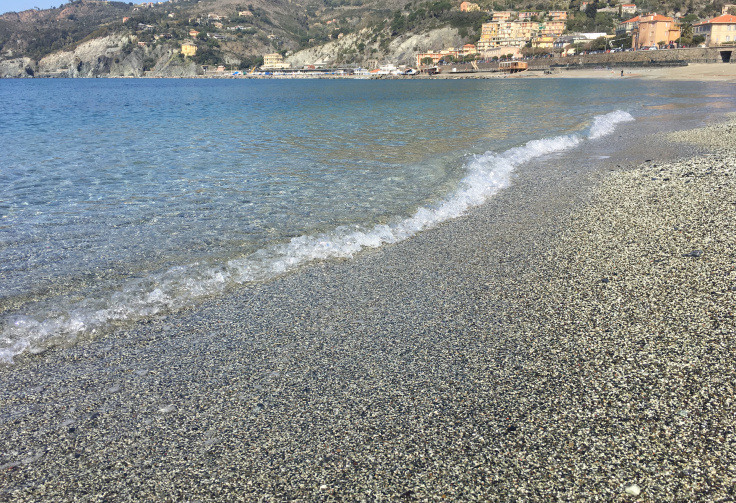 Oh, Levanto, so beautiful, so pretty and the most perfect place to finish my stay on the Cinque Terre trail; giving my feet another ice bath in a beautifully clear ocean and reading my book in complete peace. The Cinque Terre has been my far most favourite place in Europe so far. I know I haven’t finished my trip yet, but this was incredible!